A dinner in Canberra City should not be an exclusively gastronomic experience. Rather, it needs to make full use of our senses to deliver a truly one-of-a-kind event. From the visual presentation of dishes to the feeling of the restaurant’s ambiance, our senses have a unique connection that can enhance how the food tastes. What better way to enjoy your food than being serenaded by live music? Canberra has a lot of restaurants where you can enjoy a delicious meal with some live tunes. But if you are still on the fence on whether you should spend your dinner at a live music venue, here are some reasons why good food and good music is the perfect combination. Want to enjoy your food with some live music? The local Australian restaurant in Canberra, First Edition partners with the very talented Mathew Paese to serenade you with soothing tunes. Catch him every Saturday night from 4:30 pm to 7:30 pm. 1. Music has powerful benefits to your health. There is nothing like a great gig to give a boost to your mood and there is a psychological reason behind it. Music has long been regarded by psychologists as a fixer-upper that helps manage emotional and mental health even when alone. If you combine it with the social aspect of eating out with colleagues and friends, music can make you feel happier and healthier. According to a recent study, a shared experience of listening to live music makes listeners feel increased self-worth, higher level of closeness to others and increased mental stimulation. 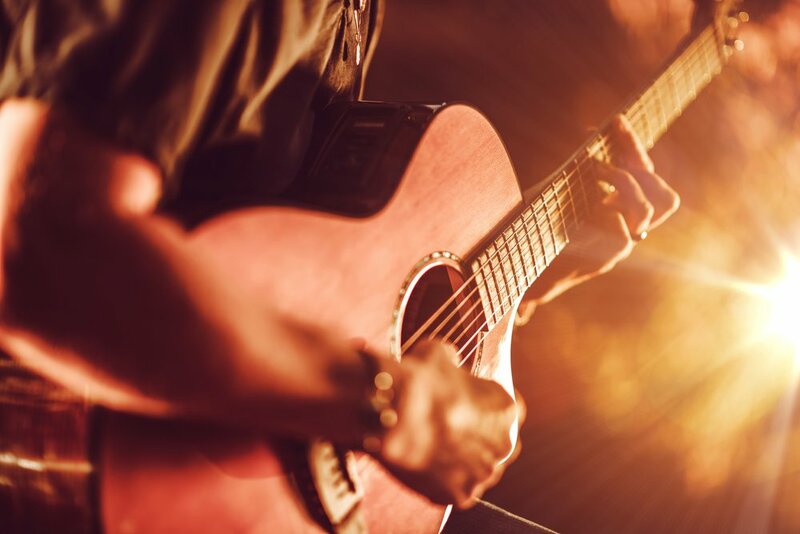 In addition, live music can also impact endocrine activity and decrease the stress hormones cortisol and cortisone. These hormones can cause higher risk of heart disease and diabetes. 2. Live music enhances the restaurant atmosphere. When selecting a restaurant, I am sure one of your criteria is the place’s ambiance. Your senses are triggered the moment you step inside the restaurant. With the right kind of music, you will feel comfortable and motivated to come back not only for the food but for the environment as well. Good music creates the ideal social atmosphere that makes you enjoy friendly conversations and interactions even more. 3. Music promotes a better dining experience. A dash of good music can indeed enhance your culinary experience. But did you know that the type of music you listen to can affect the actual taste of the food you are eating? Research from Oxford University found out that high-frequency sounds enhance the sweetness in food while low frequencies bring out the bitterness. With live music, you can experience a different kind of seasoning that just might make your food give the right kind of taste to your palate. Wondering what’s on in Canberra? Check out one of the premiere Canberra live music venues, First Edition Bar & Restaurant. Enjoy soothing music all day every day as you dine with friends and family during lunch or dinner. Come Saturday, enjoy live music from 4:30 pm to 7:30 pm brought to you by our very own Mathew Paese. Check out our menu to see our selection of Modern Australian cuisine. call +61 (0) 2 6245 5000 to get a reservation. We are open 7 days a week for breakfast buffet, lunch, and dinner. Breakfast starts at 6:30 am, lunch at 11:00 am and dinner at 5:30 pm. Visit us for Happy Hour and Cocktail Drinks!